Product prices and availability are accurate as of 2019-04-11 19:52:44 EDT and are subject to change. Any price and availability information displayed on http://www.amazon.com/ at the time of purchase will apply to the purchase of this product. 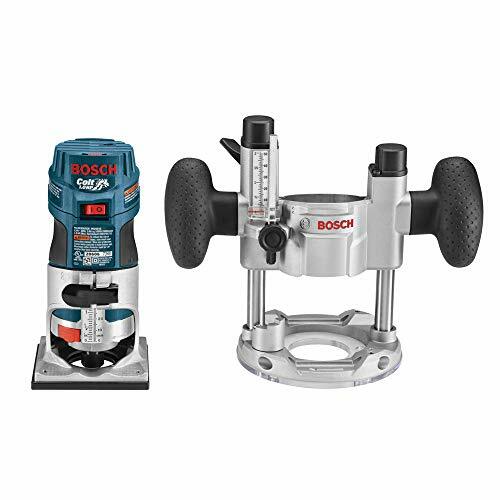 The Bosch PR20EVSPK Colt palm grip variable-speed router combo kit is a versatile tool that's ideal for performing custom carpentry, trimming laminate flooring or deck planks, mortising hinges, dovetailing, and a host of other at-home and professional jobs. The PR20EVSPK owes its robust performance to a 1.0-horsepower (the highest rating for small routers), 5.6-amp motor that spins at a variable speed of 16,000 to 35,000 RPM and has a soft-start that reduces startup torque. Additionally, depth adjustment is simple with the PR20EVSPK: just align and lower the motor and then lock the router in position with the clamping level. Micro-fine adjustments are equally effortless thanks to the wheel on the back of the router's base. The new PR011 Plunge Base is designed to expand the versatility of the Bosch palm routers. The PR011 offers exceptionally smooth plunge action and simple micro fine depth adjustments with depth scales printed on the tool in both-Inch and metric measurements. The plunge base offers fast and accurate depth setting with a 7-step depth stop, two of which are adjustable. The PR011s plunge lock lever is conveniently located near the left handle and springs to the locked position when released, as most users prefer. 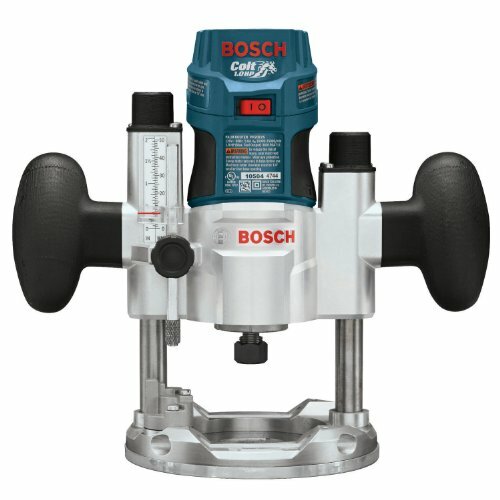 A clear sub-base allows woodworkers to see their work piece at all times, and the units precision centering design makes it easy to adjust the subcase to keep a bit on the intended cut line when using jigs, templates, dovetail fixtures and other guidance devices. The PR20EVSPK combo kit includes the PR20EVS router motor and the PR011 fixed and plunge base. Both bases feature ergonomic, soft-grip areas for comfortable use and enhanced control. 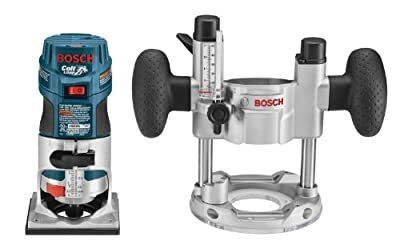 A tool-less motor clamp allows users to quickly remove the router from the bases with ease. Combo kit includes: PR20EVS Motor, PR011 Fixed/Plunge Base, PR002 Straight Edge Guide, Bit-Change Wrenches, 1/4-Inch Self-Releasing Collet, and Carrying Case.